Skytron’s central tandem mount booms feature two dual arm sets and up to two light heads from a single ceiling-mounted hub. Contact us for your quote. Unlike any other central tandem mount boom solution, this configuration can hold up to one carrier, two light heads and two monitors via a single mounting structure. 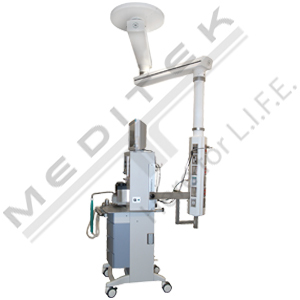 In addition, the equipment carrier can be positioned anywhere around the patient without affecting light placement, bringing you an unparalleled level of flexibility. This unique design gives you optimal movement and 360° coverage while reducing the boom’s construction cost and footprint. 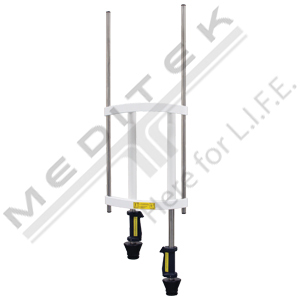 The central tandem mount boom is an ideal solution for versatile OR environments. 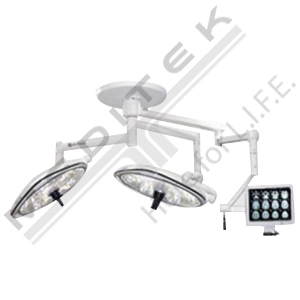 415-0000-0051 ECT2F_/2AF_/Lights: Central tandem system with two arm sets on one hub Fixed Yes 61"/31.5" 51"/35.5" Flatscreen mounting bracket & power cord(s) required (priced separately). 415-0000-0049 ECT2E_/2AF_/Lights: Central tandem system with two arm sets on one hub Powered Yes 61"/34.5 51"/35.5" Flatscreen mounting bracket & power cord(s) required (priced separately). 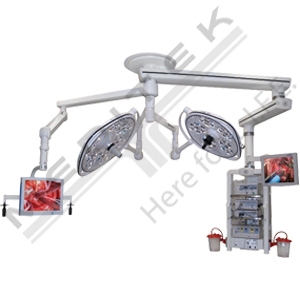 415-0000-0053 ECT2S_/2AF_/Lights: Central tandem system with two arm sets on one hub Manual Yes 61"/31.5" 51"/35.5" Flatscreen mounting bracket & power cord(s) required (priced separately). 415-0000-0052 ECT2F-C_/2AF_/Lights: Heavy duty central tandem system with two arm sets on one hub Fixed Yes 51"/31.5" 41.5"/35.5" Flatscreen mounting bracket & power cord(s) required (priced separately). 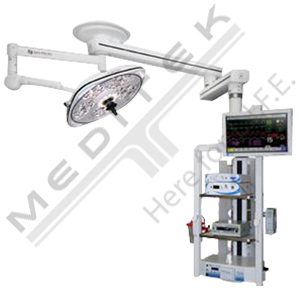 415-0000-0050 ECT2E-C_/2AF_/Lights: Heavy duty central tandem system with two arm sets on one hub Powered Yes 51"/31.5" 41.5"/35.5" Flatscreen mounting bracket & power cord(s) required (priced separately). 415-0000-0054 ECT2S-C_/2AF_/Lights: Heavy duty central tandem system with two arm sets on one hub Manual Yes 51"/31.5" 41.5"/35.5" Flatscreen mounting bracket & power cord(s) required (priced separately).